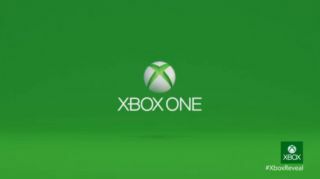 The UK marketing director for Xbox in the UK has confessed to TechRadar that he didn't know that the new console would be called the Xbox One until the name was revealed on the live feed. Speaking to TechRadar at the UK launch streaming event, Harvey Eagle admitted that he was on tenterhooks as to the brand, but that he was delighted with the simple moniker. "Truthfully, I learned tonight. It was closely guarded and I found out at the same time as you found out," he said. "I love the name, I love a few things - I love the fact that it surprised me and therefore I assume surprised everyone in the room. "I've seen the names that were out there, from Infinity to 720 to Durango. I said to myself on the way in 'I don't know what it is I'm going to be surprised in realtime like you guys - wouldn't it be great if it was a new name that had never been reported'. "When I heard it - given what I saw and knowing our vision - it makes perfect sense to me. It is an all in one gaming and TV device and we've repeated that over and over again and so the name Xbox One just works." Eagle's honest admission makes us feel a lot better about not being on the small list in the know. And although HTC may be both honoured and miffed by the choice, it certainly seems an obvious choice given the remit of the Xbox One.